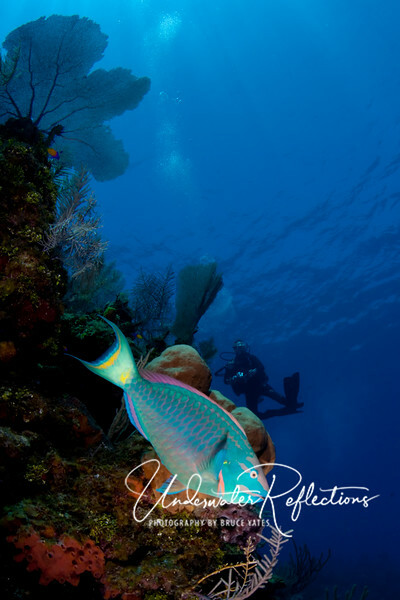 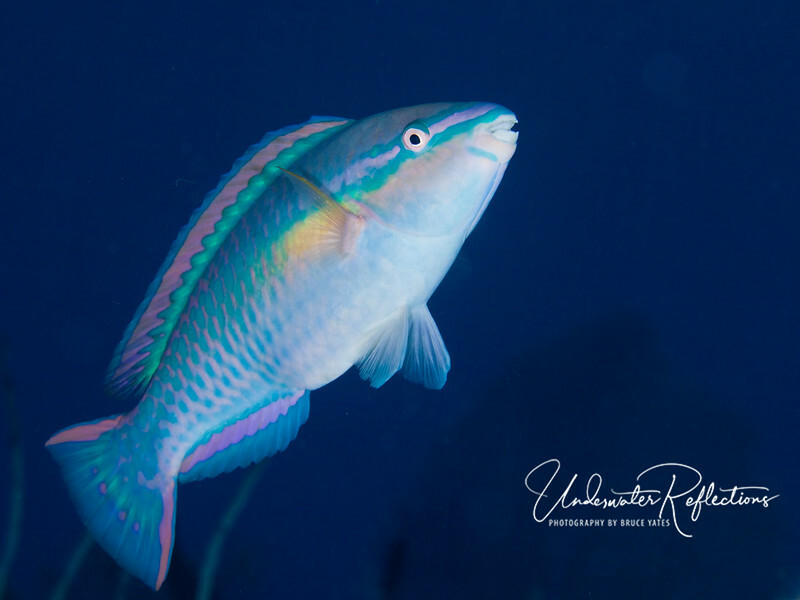 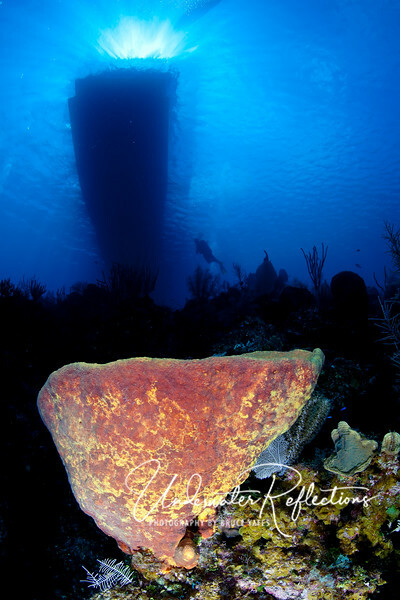 Photos taken aboard Cayman Aggressor IV from May 29 - June 5, 2010. 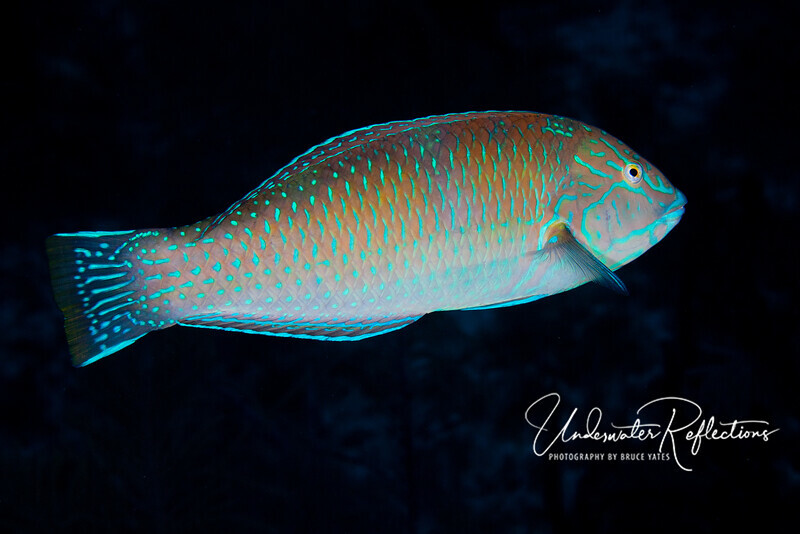 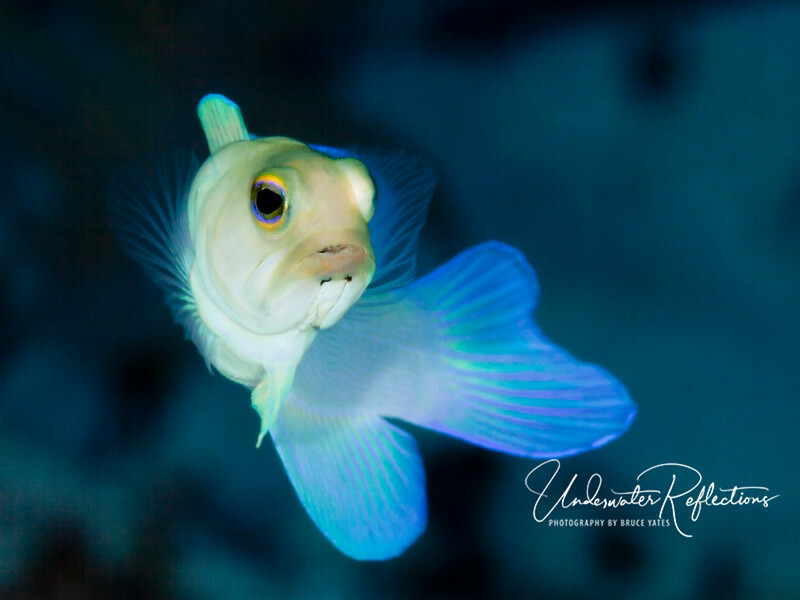 All photos taken with Canon 5D Mark II camera in Aquatica housing with Inon Z-240 strobes. 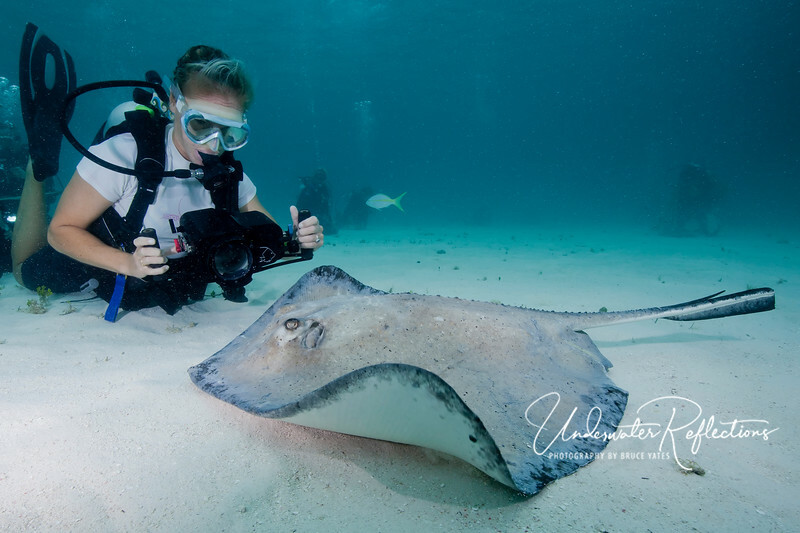 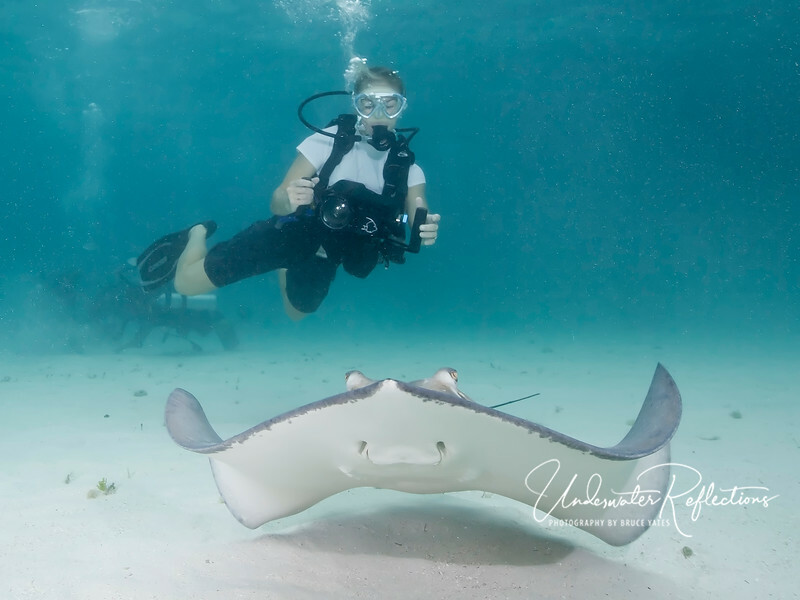 Stingray City offered a chance to get up close and personal with wild (albeit well acclimated to humans) Southern Stingrays. 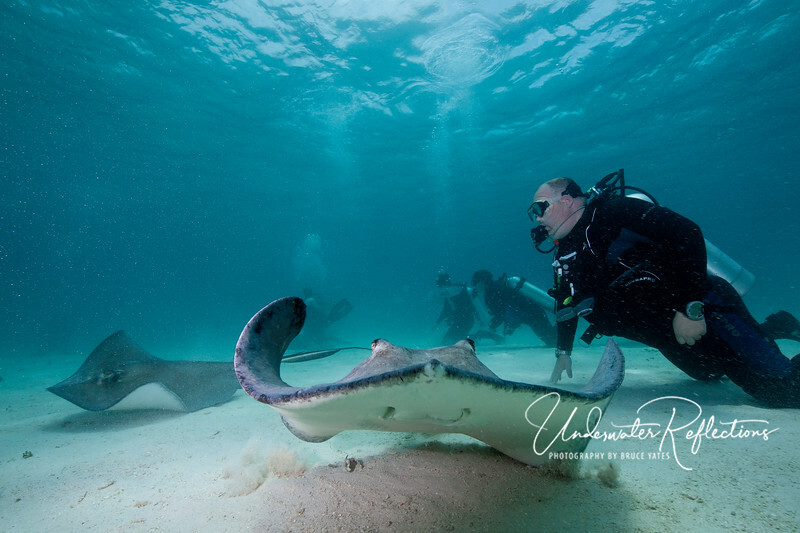 Rick and Traci wrangle a couple of big female stingrays. 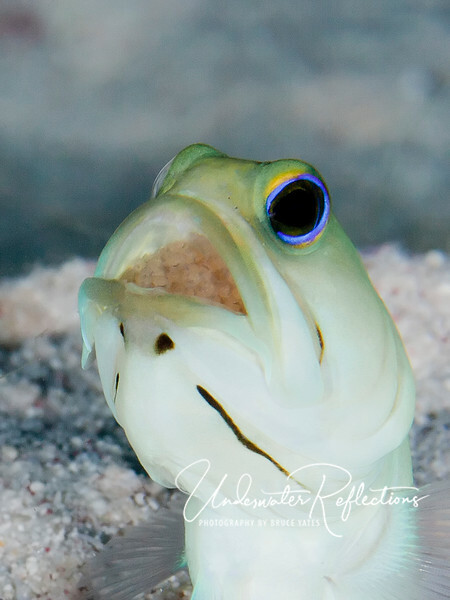 Yellow-headed jawfish are beautiful, almost ethereal little fish (only a few inches long). 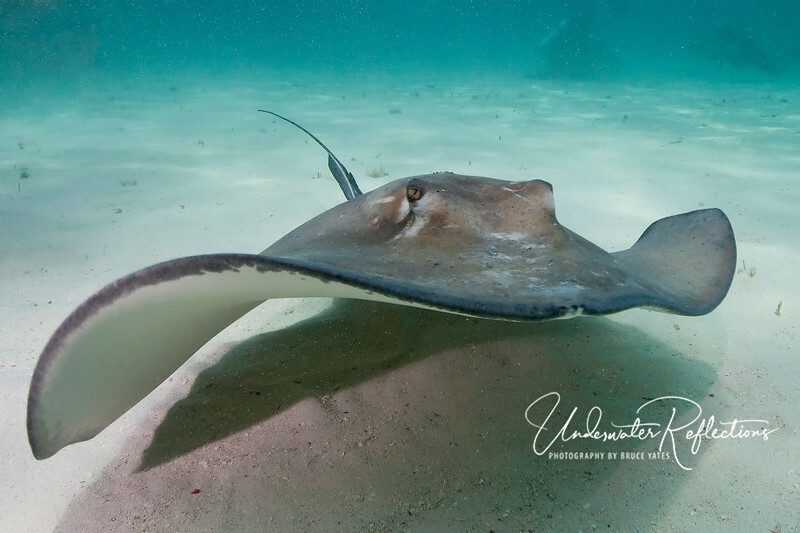 They dig holes in the sand, and spend their lives hovering above their holes, snatching bits of food that pass by and "backing in" to their holes when they spot danger. 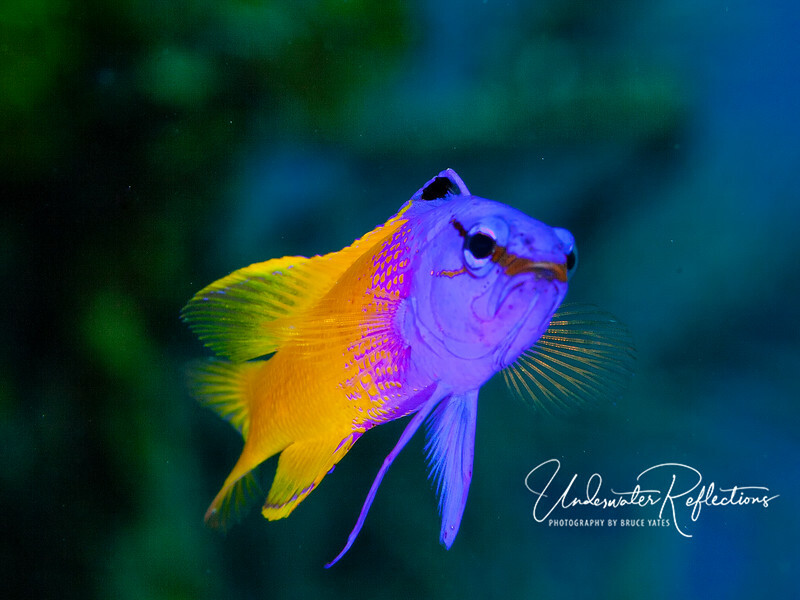 They've always been one of my favorite fish! 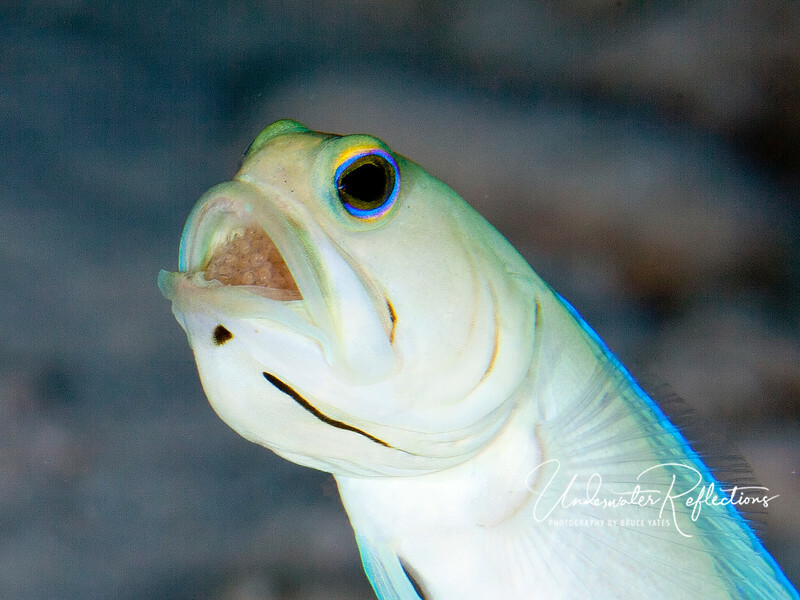 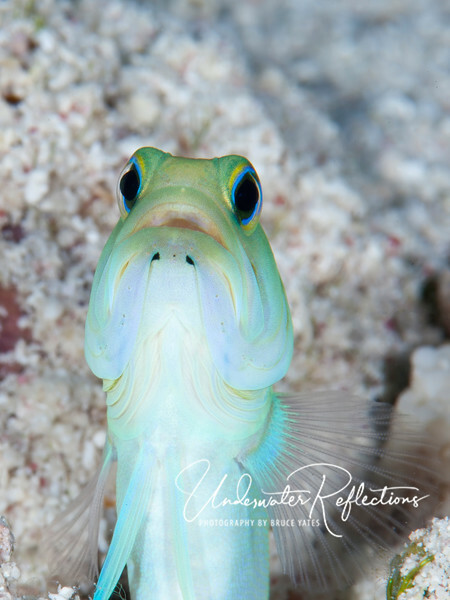 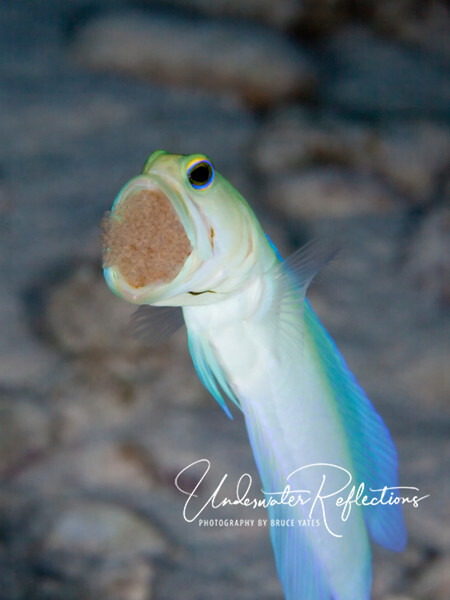 My primary photo goal for this trip was to get a male jawfish carrying eggs in its mouth (the males protect eggs this way until hatching). 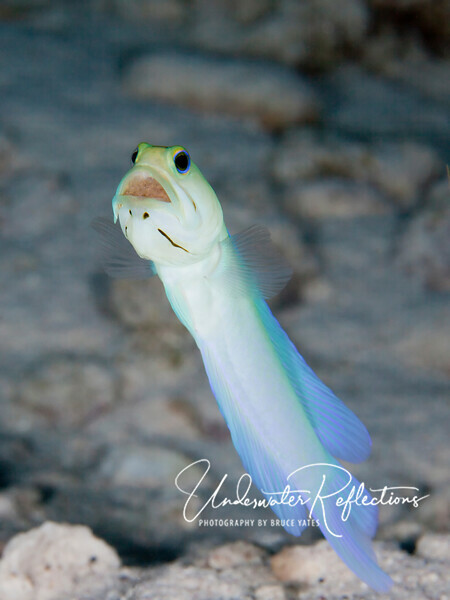 After spending several dives going from one fish to another to see if they had eggs (say "Ahhh" please! 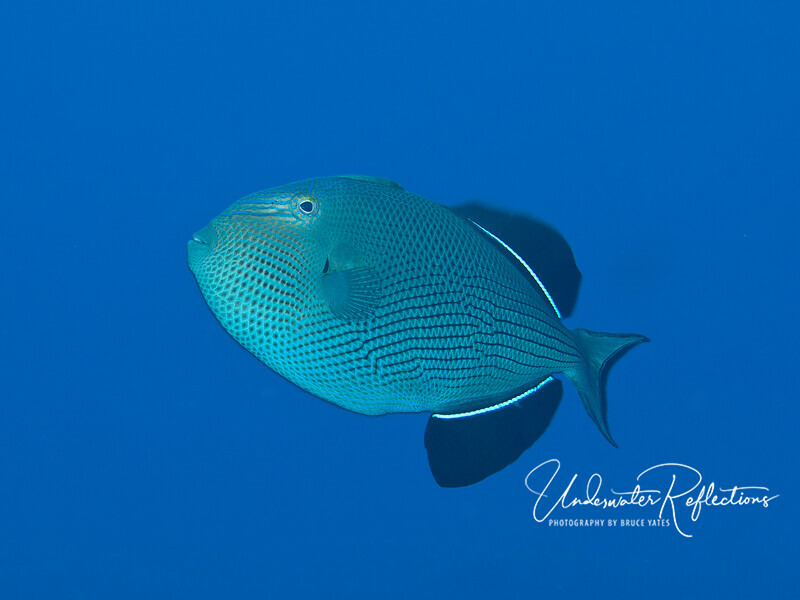 ), I finally found ONE. 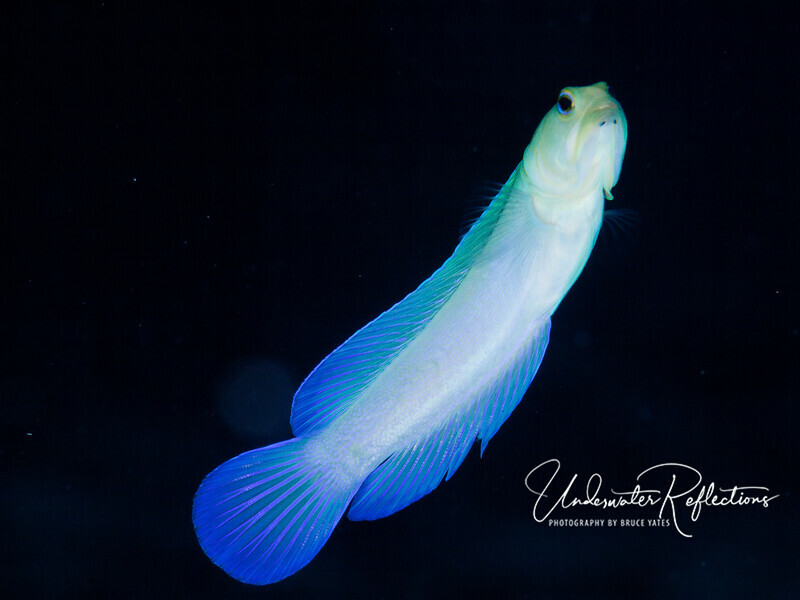 I spent nearly half an hour to get these shots. 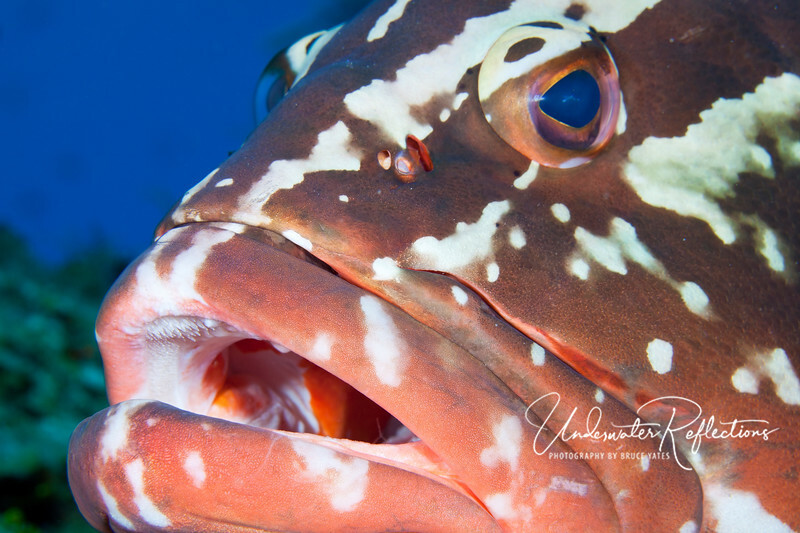 Periodically, the father spits out and "turns" the eggs to give them all plenty of oxygen. 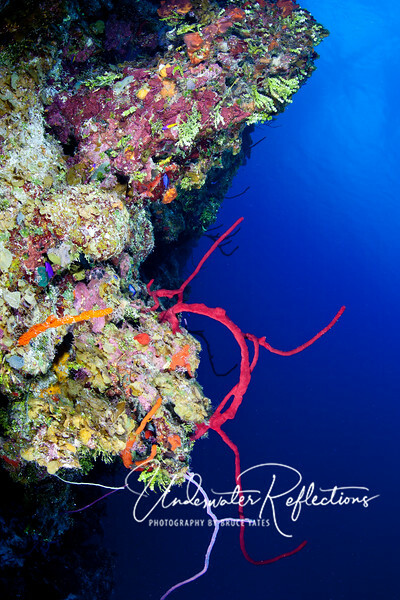 This shot was at one such moment. 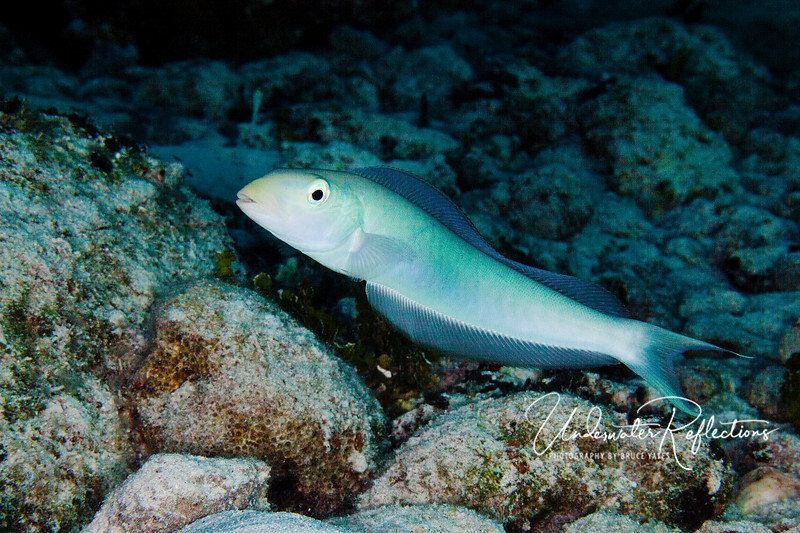 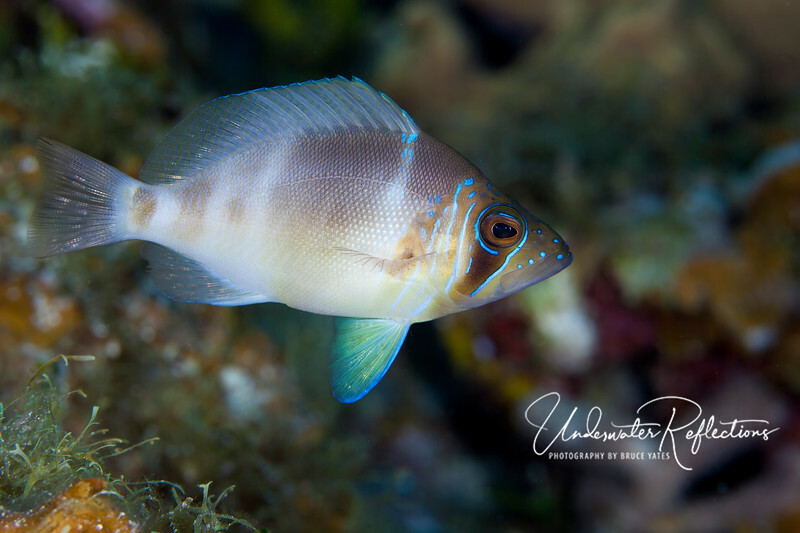 Most of my time on this trip (when I wasn't searching for jawfish) was spent on wide angle photography. 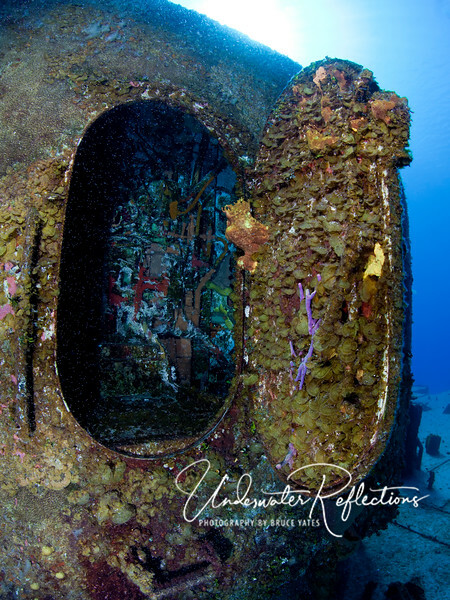 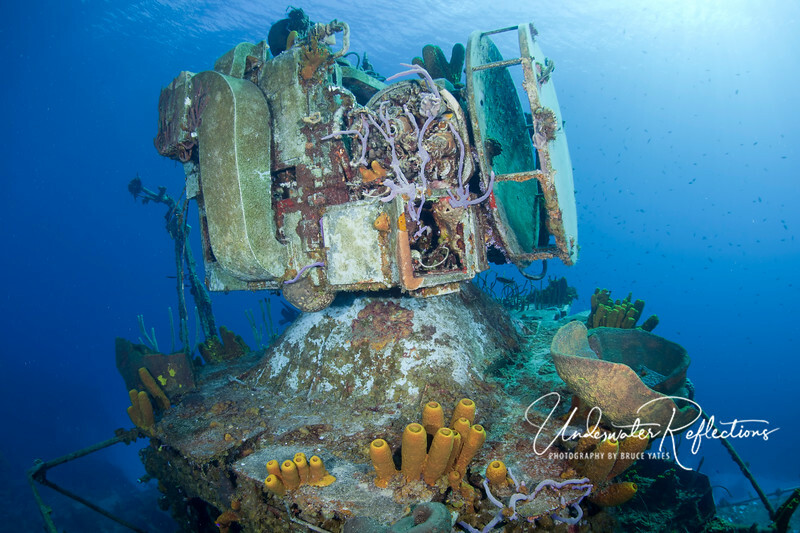 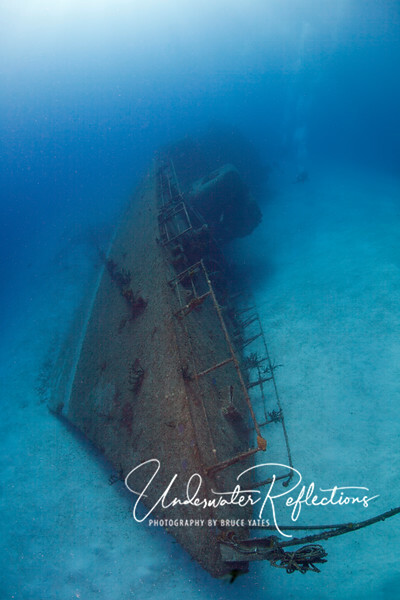 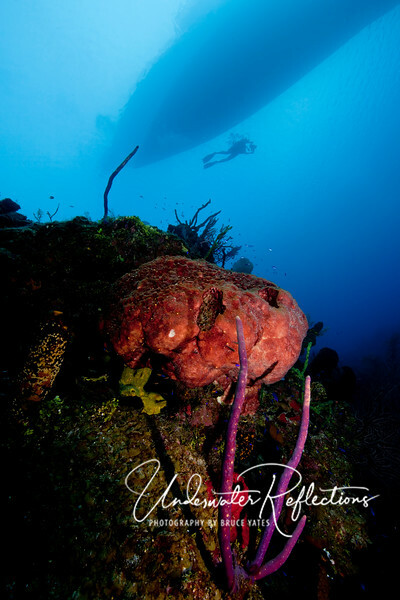 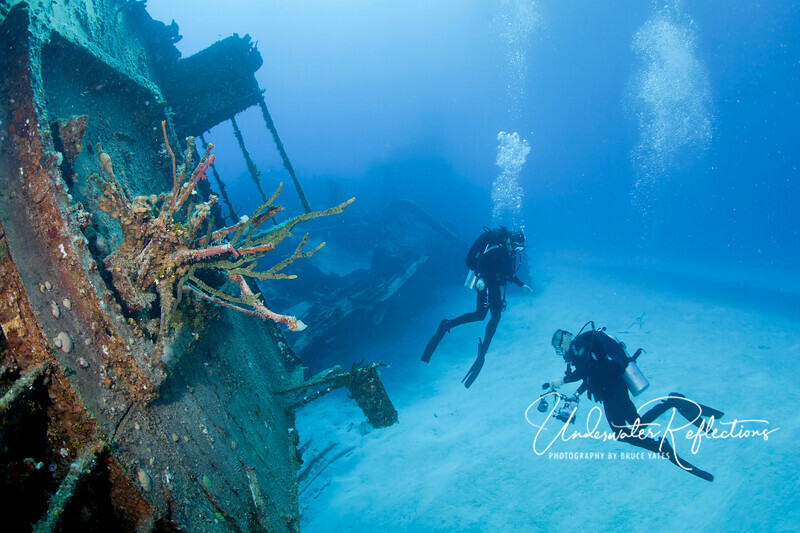 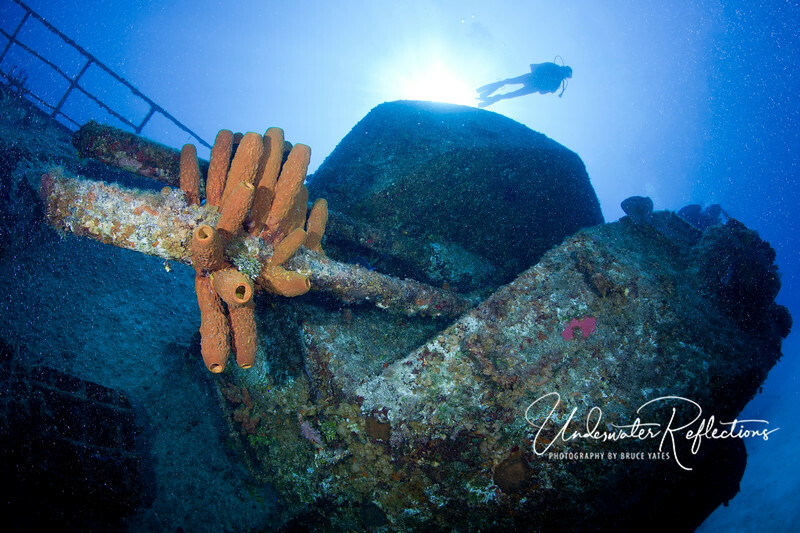 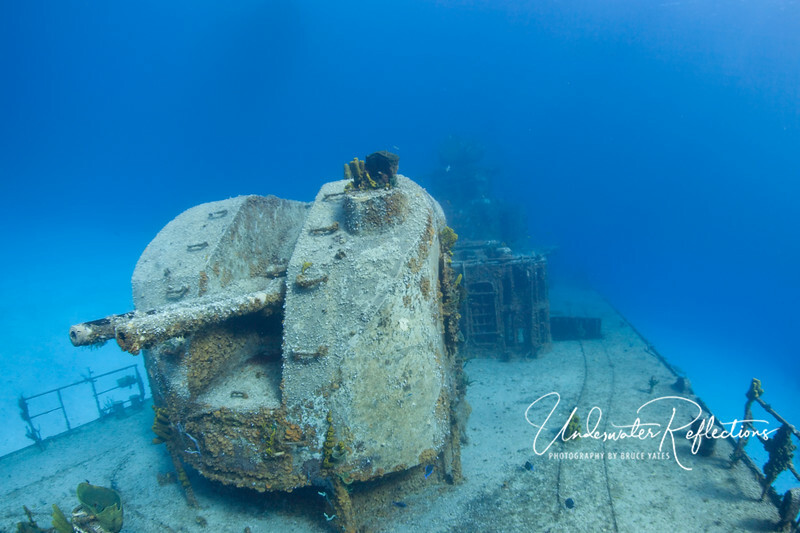 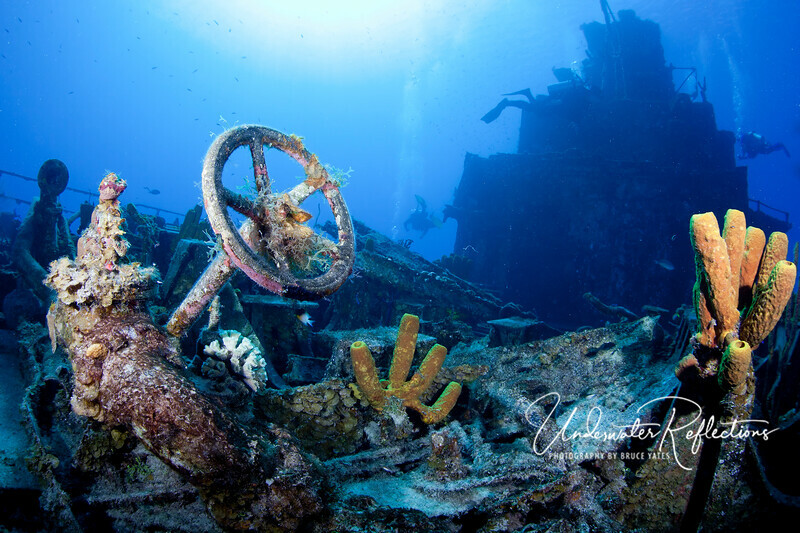 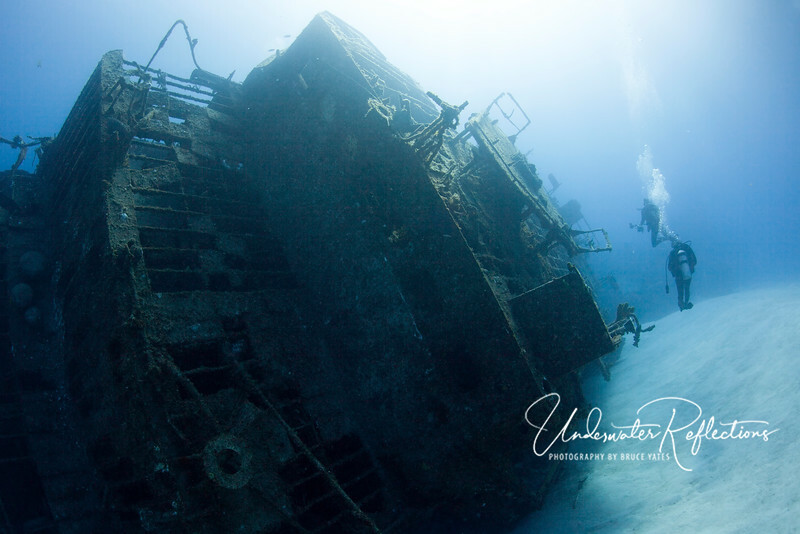 This wreck of a Russian destroyer on Cayman Brac offered a perfect subject. 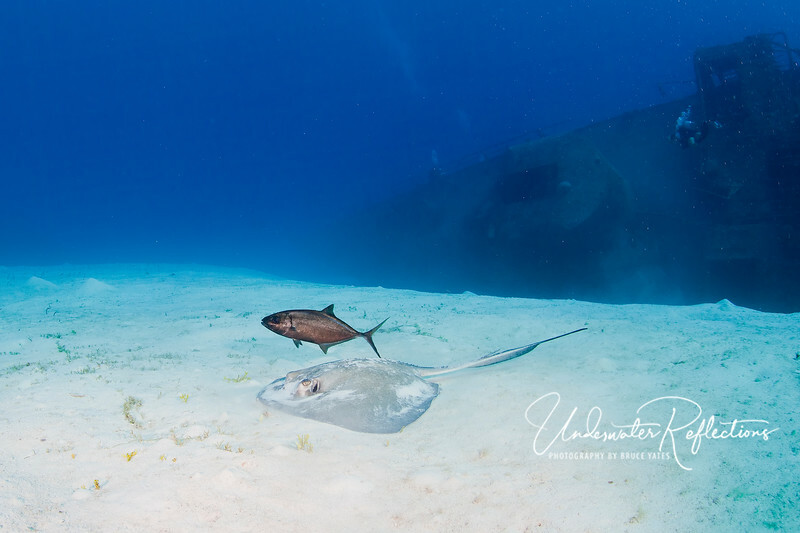 A Southern Stingray and "companion jack" (a tag-along hoping to get a morsel when the stingray finds something in the sand to eat) swim along the sand near the wreck. 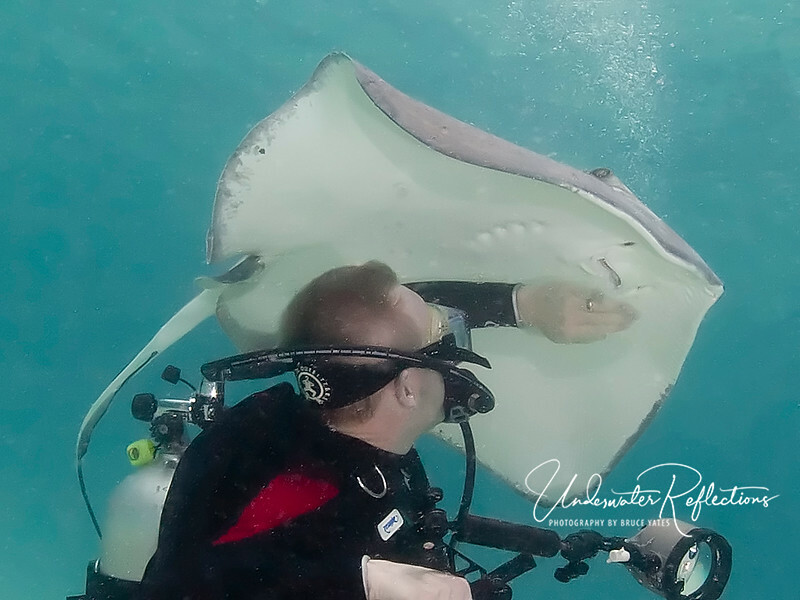 Rick contemplates his camera, while Traci contemplates Rick. 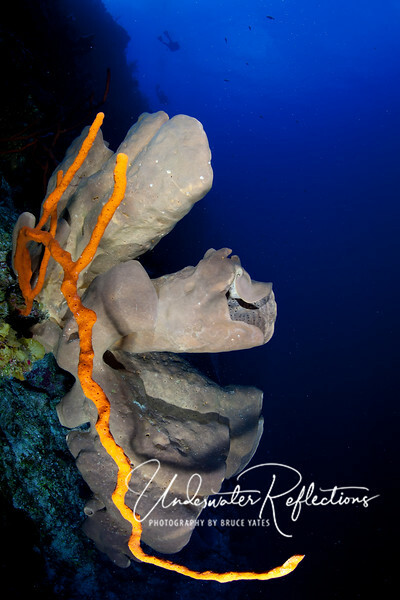 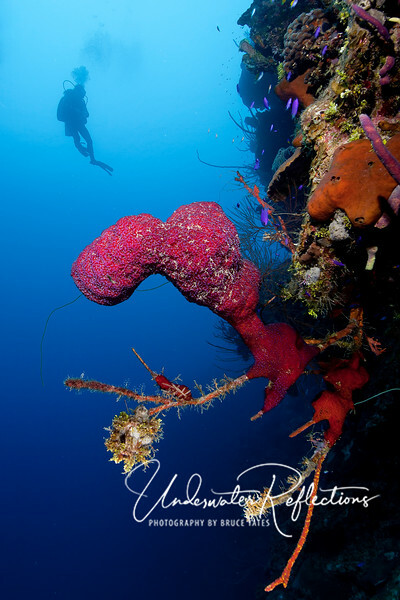 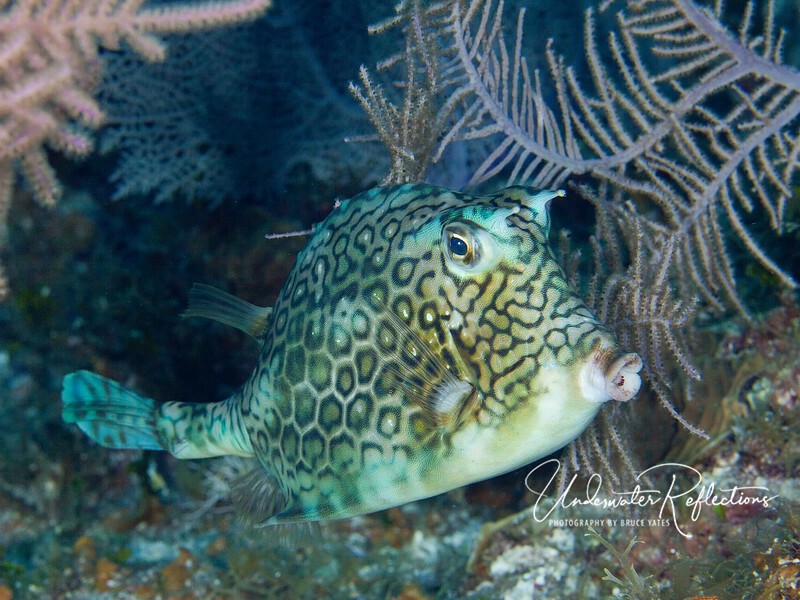 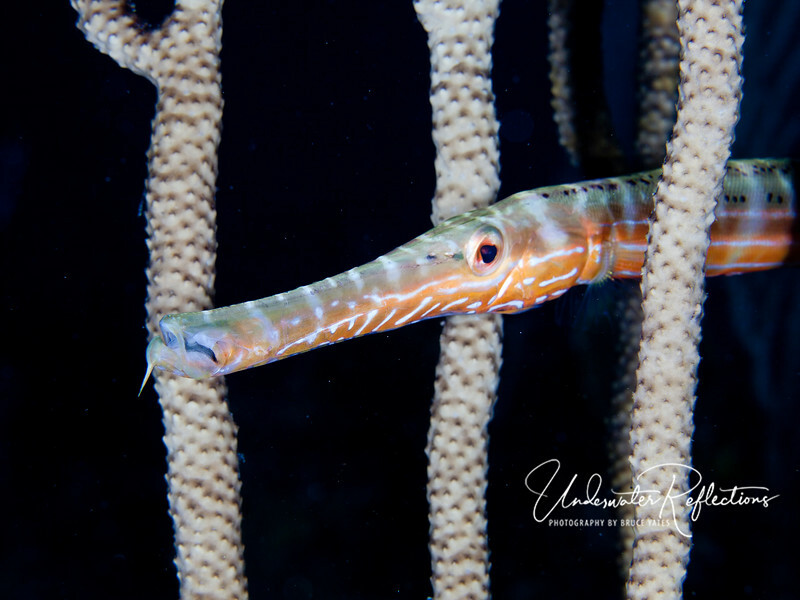 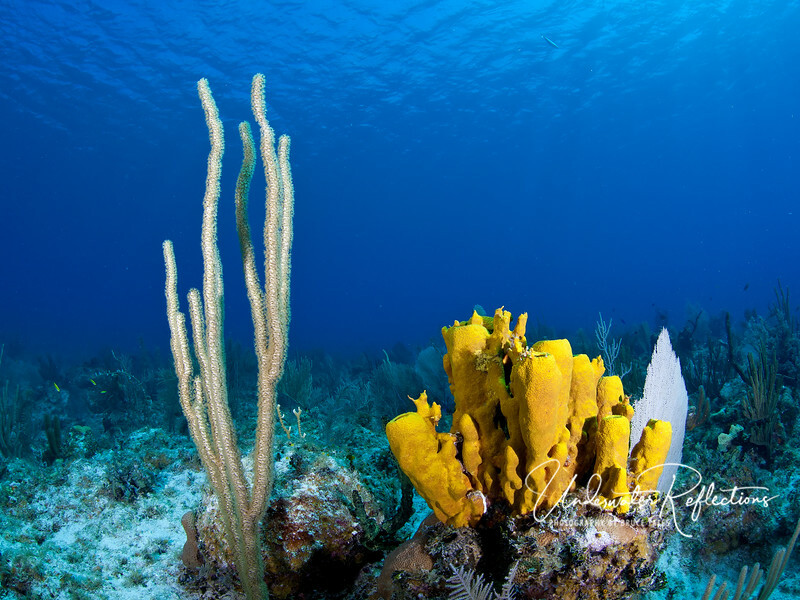 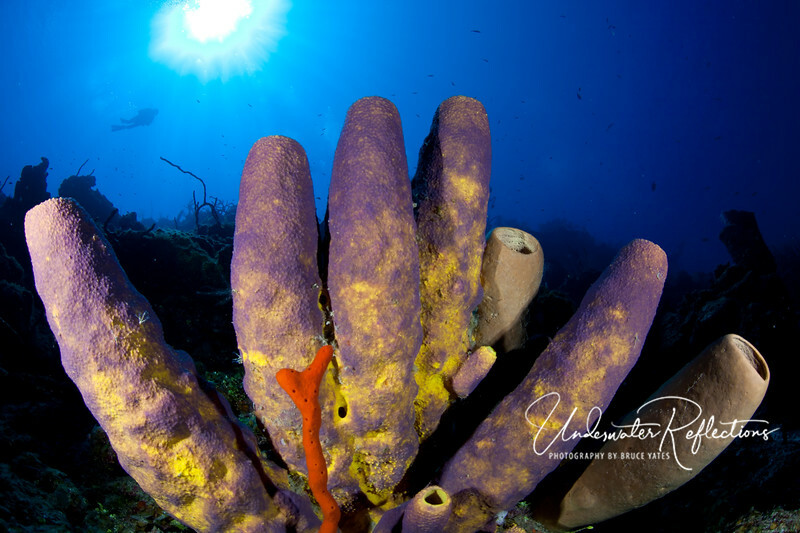 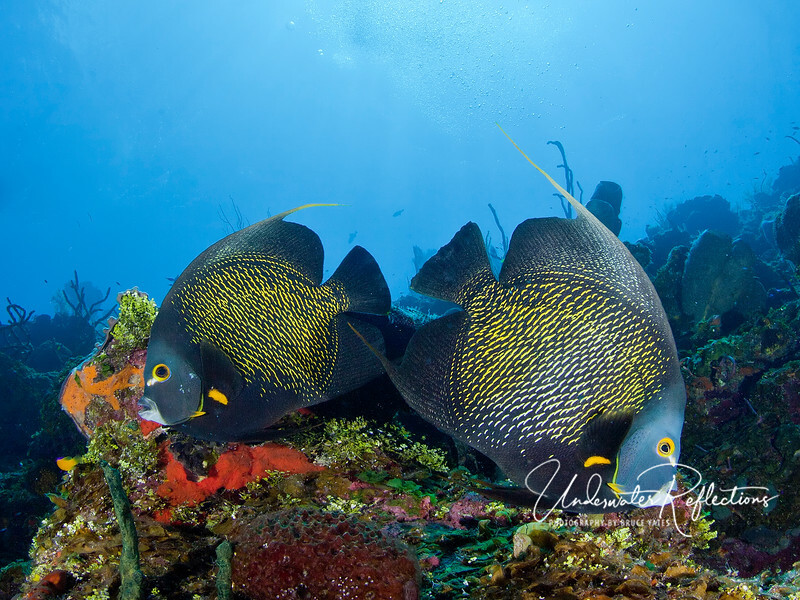 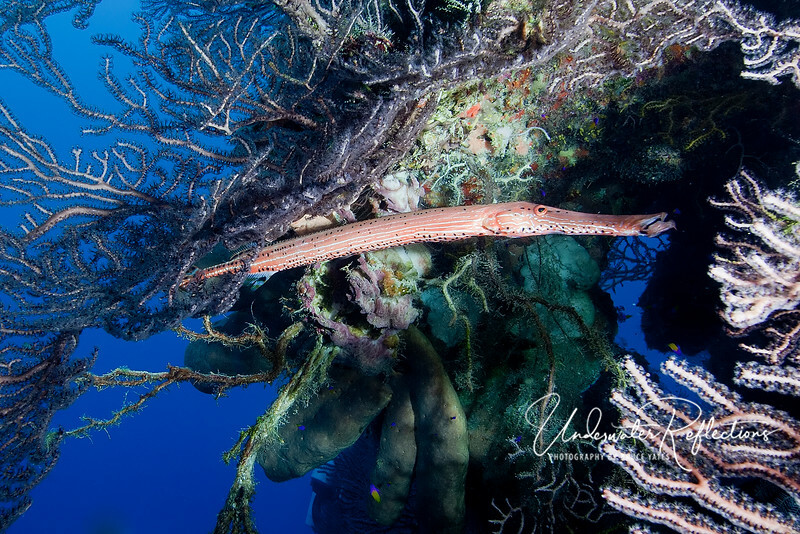 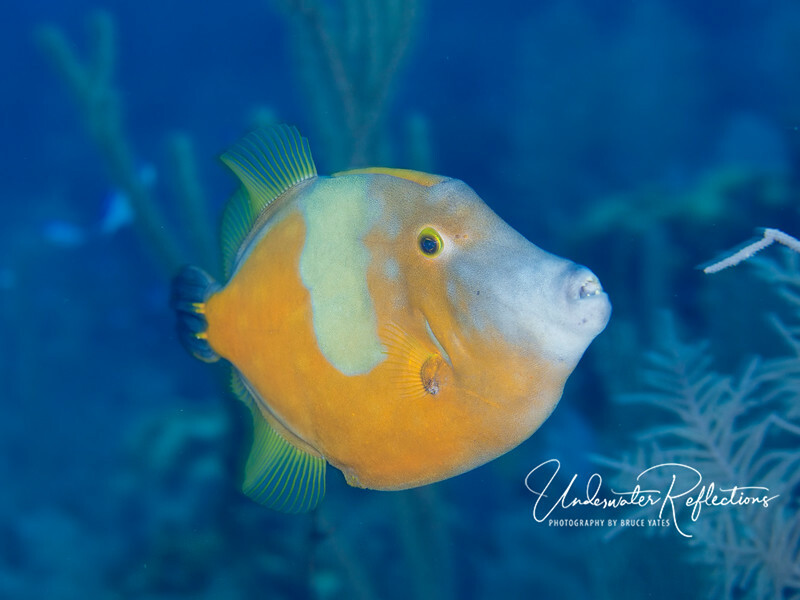 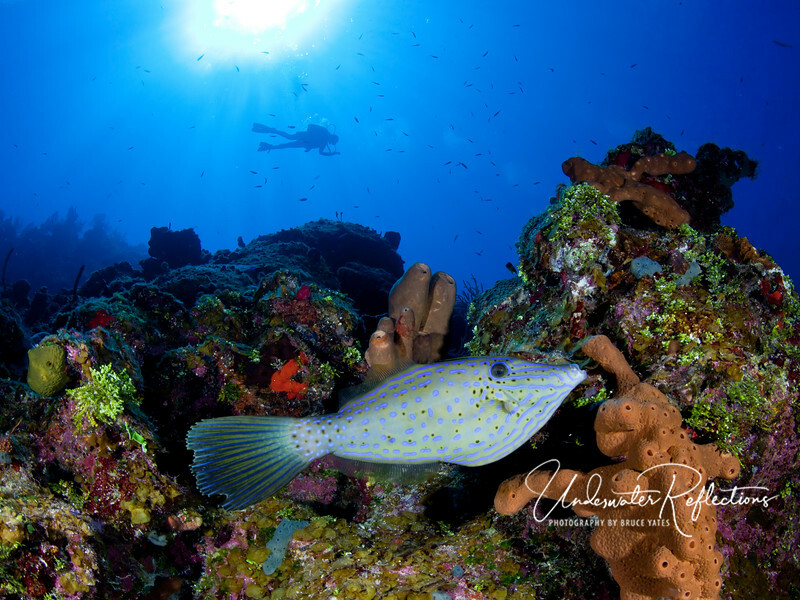 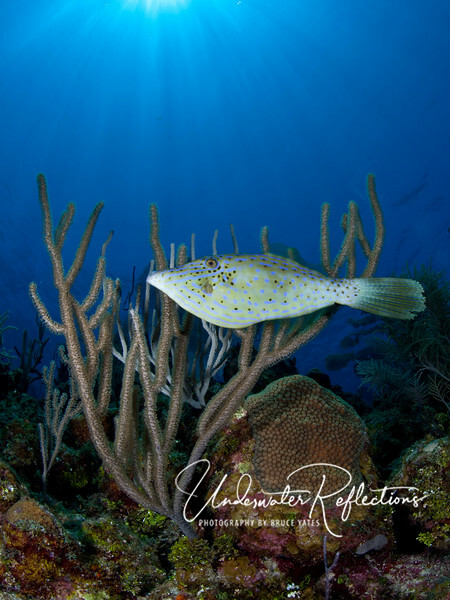 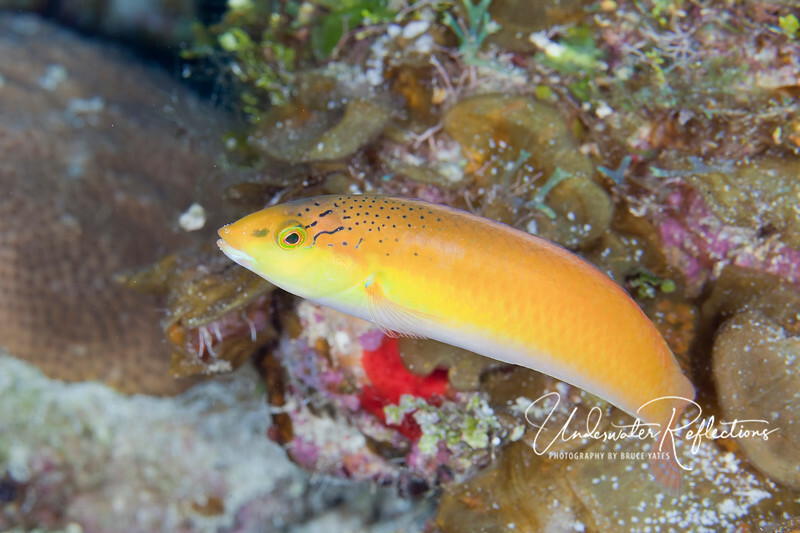 The walls of Little Cayman offered the healthiest and lushest reefs I've seen anywhere in the Caribbean, with sponges and corals providing excellent wide angle subjects. 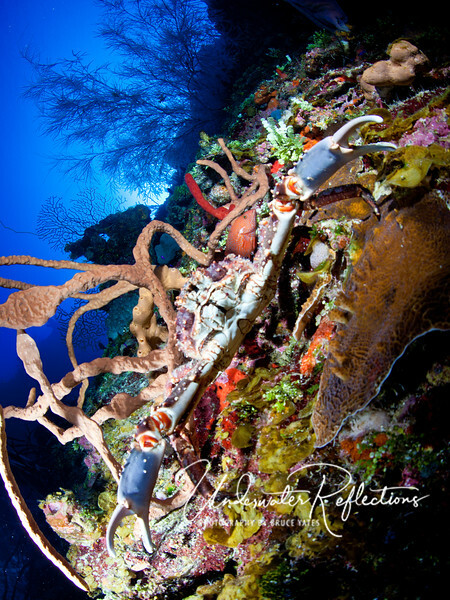 A huge coral crab (more than three foot "claw-span"!) 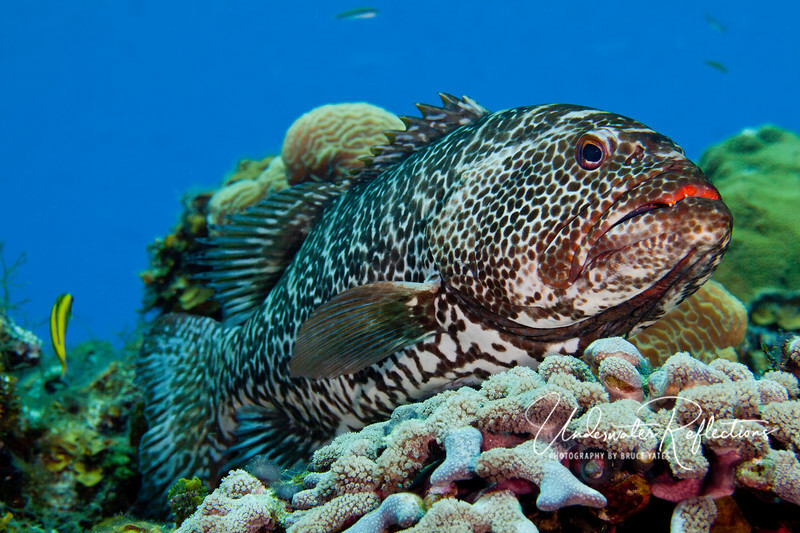 puts on his most menacing pose! 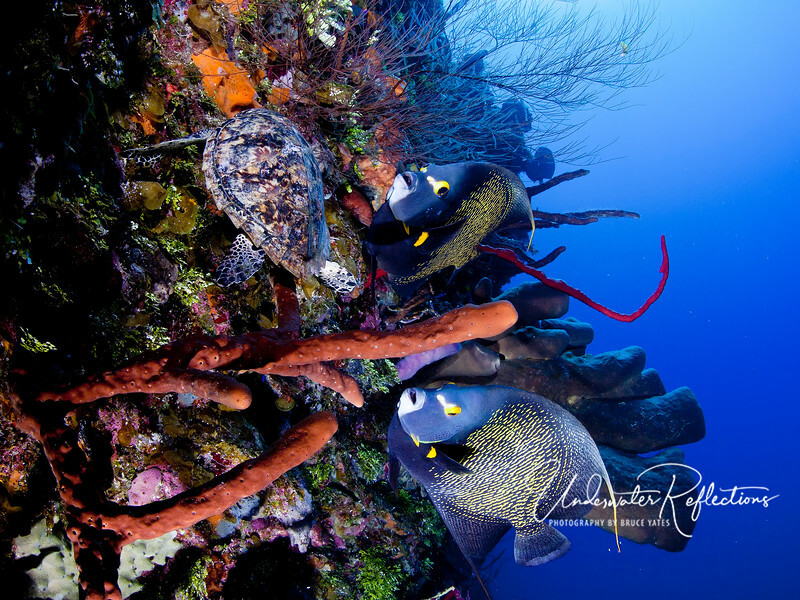 Two French Angelfish shadow a small Hawksbill turtle as it forages on the reef. 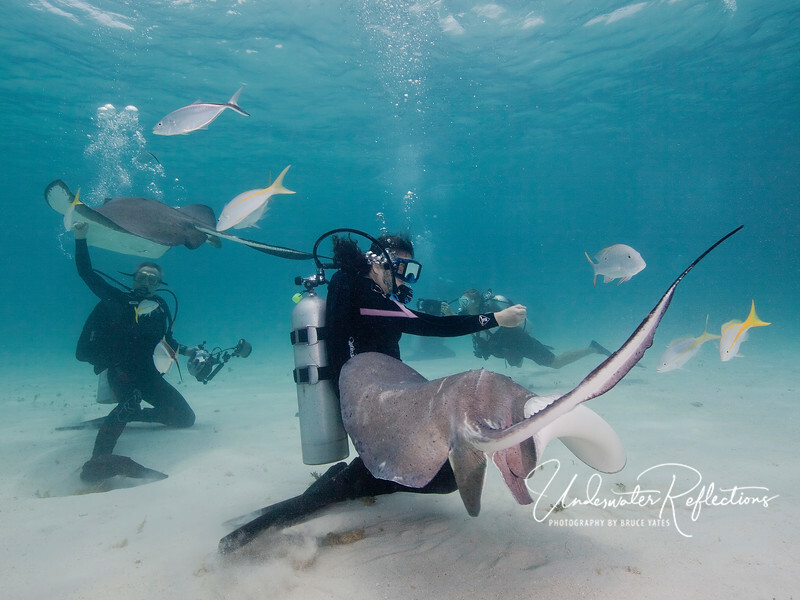 They hope to grab tasty bits the turtle breaks loose.